Carl's Jr. and Hardee's have brought back the Hillshire Farm Smoked Sausage, Egg, and Cheese Biscuit to their respective breakfast menus. The sandwich features a split-cut Hillshire Farm smoked sausage, folded egg, a slice of American cheese on a Made from Scratch biscuit. 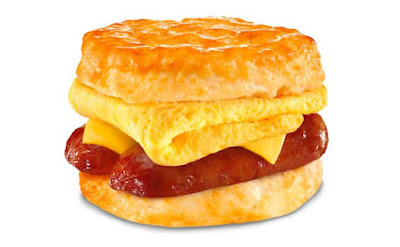 The Smoked Sausage, Egg and Cheese Biscuit carries a suggested price of $2.89 (may vary). You can also get it in a combo with hash brown nuggets and a drink starting at $4.59. 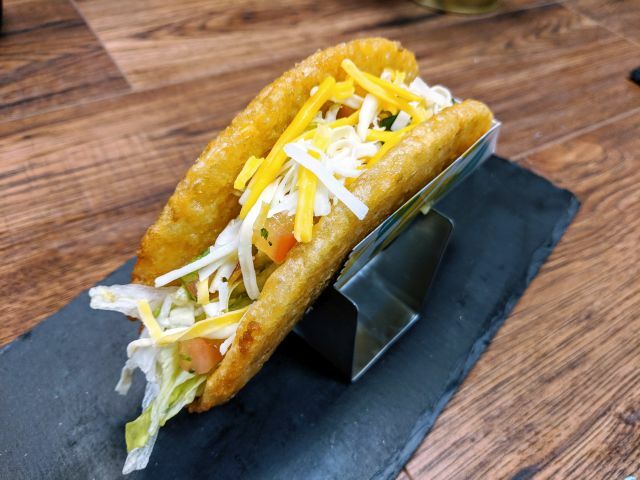 It's available for a limited time only at participating restaurants. The breakfast sandwich was last seen in 2013. Photo via Carl's Jr. and Hardee's.